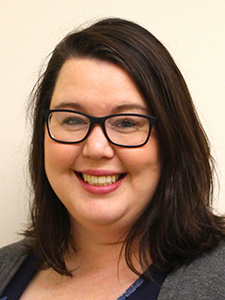 ALBION – Kaitlynn Read, Family Nurse Practitioner, will be joining Lovejoy Health Center’s medical team this summer to provide primary care to people of all ages. She recently completed a Master of Science in Nursing degree at Simmons College in Massachusetts. Previously, she obtained a Bachelor of Science degree in Child/Human Development and Psychology from the University of Maine and her Bachelor of Science in Nursing from the University of Southern Maine. Kait will be joining physicians Dean Chamberlain and Forrest West, podiatrist Bert Mason, physician assistants Bobby Keith and Gretchen Morrow, clinical social worker Deb Daigle, and psychiatric mental health nurse practitioner Marta Hall. Lovejoy Health Center is part of HealthReach Community Health Centers, a group of eleven Federally Qualified Health Centers in Central and Western Maine. Dedicated providers deliver high quality medical and behavioral healthcare to citizens in over 80 rural communities. To ensure access for everyone, HealthReach accepts Medicare, MaineCare, and major insurances. In addition, a sliding fee program is available to uninsured and underinsured residents as well as assistance with applications for programs that help with the cost of healthcare and medications including the Health Insurance Marketplace. A private, non-profit with a 43-year history, HealthReach is funded by patient fees, grants and by the Health Resources and Services Administration (HRSA) of the U.S. Department of Health and Human Services (HHS) as part of an award totaling $3,930,684 with 82.5 percentage financed with non-governmental sources. The contents are those of the author and do not necessarily represent the official views of, nor an endorsement, by HRSA, HHS or the U.S. Government.